The writer served for seven years in operational capacities in the Israeli Defense establishment, was ministerial adviser to Yitzhak Shamir's government and lectured for 20 years at Tel Aviv University in Political Science, International Relations and Strategic Studies. He has a B.Sc. (Physics and Geology), MBA (Finance), and PhD in political science and international relations, was the first academic director of the Herzliya Conference and is the author of two books and numerous articles and policy papers on a wide range of political, diplomatic and security issues. 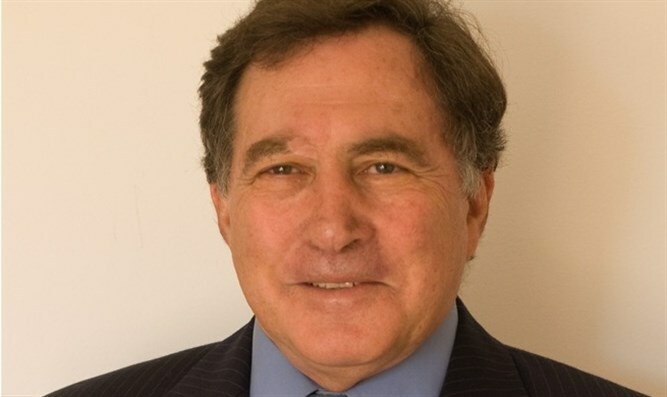 He is founder and executive director of the Israel Institute for Strategic Studies (www.strategicisrael.org). Born in South Africa,he has lived in Israel since 1971. “The major issue is not [attaining] an agreement, but ensuring the actual implementation of the agreement in practice. The number of agreements which the Arabs have violated is no less than number which they have kept.” –– Shimon Peres, And Now Tomorrow (Hebrew), 1978. “Even if the Palestinians agree that their state have no army or weapons, who can guarantee that a Palestinian army would not be mustered later to encamp at the gates of Jerusalem and the approaches to the lowlands? And if the Palestinian state would be unarmed, how would it block terrorist acts perpetrated by extremists, fundamentalists or irredentists?” — Shimon Peres, The New Middle East, 1993. Last week’s column was devoted to the launch of the Congressional Israel Victory Caucus (CVIC) by Reps. Ron DeSantis (R-FL) and Bill Johnson (R-OH), and initiated by the Middle East Forum headed by Daniel Pipes its founder and president. In the column, I began an analysis of the initiative, setting out some of its considerable merits and pointing out several difficulties that need to be addressed and others that need to be avoided; and undertook to continue to discuss further aspects relating to the practical implementation of this crucially important enterprise. Readers will recall that the underlying spirit of the CIVC departs sharply from long-standing conventional wisdom regarding the Israel-Palestinian conflict. It rejects the view that the resolution of this conflict is contingent on ongoing and ever-more generous Israeli concessions. Instead, the CIVC holds that this can only be achieved by an unequivocal Israeli victory — and a commensurate unconditional Palestinian acknowledgement of defeat. Accordingly, US policy should reflect understanding of this restructured rationale and allow Israel to implement it. While warmly commending this prescription for a radical redirection of endeavor, I cautioned that several aspects of the initiative will have to be fleshed out if it is to be transmuted from the sphere of well-intentioned generic guidelines to the realm of actionable policy prescriptions for Israel. Accordingly, I urged the authors of the CIVC to provide an operational definition of what would comprise an irrefutable Israeli victory and an undeniable Palestinian defeat. For absent such a definition, it is neither possible for Israel to know what to accomplish on the one hand, nor to impose on the Palestinians on the other. This is particularly pertinent as a parallel caucus is planned for launch in the Knesset this summer — and which, if it is to be in anyway politically relevant, will have to champion the implementation of specific policy prescriptions. Moreover, I observed that it would be necessary to outline what Israel’s post-victory policy should comprise — lest surrender (real or feigned) become a means to attain the very “fruits of victory” denied prior to admission of defeat. The relevance of this latter point is thrown into sharp relief by the third element I raised: The need to avoid being misled by inappropriate historical analogies in which victory/defeat did, in fact, result in ending conflict and war. This is particularly true in the case of Germany and Japan, neither of which were adjacent to large swathes of ethnically kindred nations, which could provide a constant stream of incitement, insurgents and armaments to undermine any arrangement or undercut any post-victory resolution the victorious party may wish to implement. This is something that has — or at least, ought to have — dramatic impact on the design of post-victory policy regarding the Palestinian-Arabs, pursuant to their acceptance of defeat. After all, what might seem prudent and pragmatic under one set of circumstance (in which the defeated populace is effectively decoupled from inimical extraneous influences) may well be foolhardy, even fatally fanciful under another (in which the defeated populace is effectively exposed to such influences). Of course, the term “influence,” would embrace diverse elements such as the supply of materiel and personnel, financial support and ideological reinforcement. Painted in admittedly very broad brush strokes, this is essentially the seminal difference between the possible post-victory arrangements that were plausible in the case of Germany and Japan on the one hand, but not in Iraq and Afghanistan, on the other. Clearly any post-victory scenario in the case of “Palestine,” embedded as it is in an Arab-Muslim milieu, would resemble Iraq/Afghanistan scenario rather than the German/Japan one. Indeed, the Palestinian-Arabs have always identified themselves as an integral part of the “Arab nation” and, conversely, the wider Arab world has always identified them as an integral part of itself. It is not difficult to see how this fact has direct and far-reaching bearing on the prudence and the practicality of establishing a state (or even some other self-governing quasi-state entity). Accordingly, in a scenario, in which the defeated Palestinian-Arabs are detached and insulated from hostile inputs from the wider Arab world, it might well be reasonable to envisage the feasibility of a durable and docile Palestinian entity, chastened by defeat, and insulated from hostile incitement and insurgency, living in relative harmony alongside the Jewish nation-state. However, in an alternative — and a patently more plausible — scenario, in which they are not, this is hardly a likely outcome. 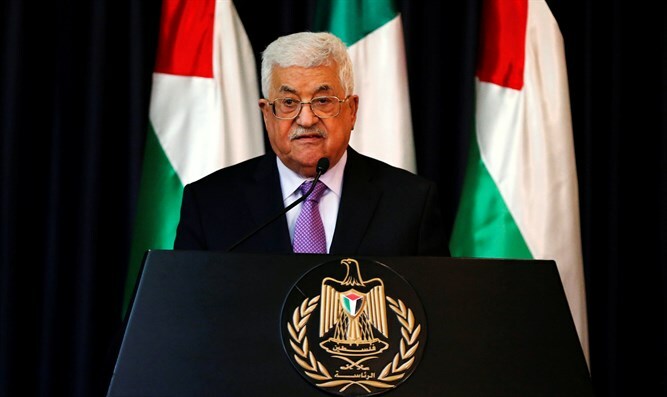 After all, any Palestinian-Arab administration, established in the wake of an unconditional surrender, will almost inevitably be seen in the wider, and largely inimical, Arab world, as a perfidious “puppet regime,” in the service of the heinous Zionist entity. As such, it is certain to be branded as illegitimate by much of the Arab/Muslim world, to which the bulk of Palestinian-Arabs, exposed to the perspectives of their ethnic kinfolk beyond their borders, see themselves as belonging. Cooperation with it is likely to be condemned as cowardly treason and resistance to it, lauded as a noble duty. Without ongoing Israeli control, incipient revolt will always be simmering near the surface, threatening to erupt. Adding the emerging potential for turmoil in neighboring Jordan, where the majority of the population is reportedly of Palestinian origins, only exacerbates this imminent threat of incitement and agitation against any post-victory arrangement with Israel. Little imagination is required to grasp what a tectonic effect regime-change in Jordan would herald for the viability of any arrangement involving a neighboring, perhaps even abutting, self-governing Palestinian entity, particularly if established on the assumption of that regime’s durability. Accordingly, unless Israel is willing to maintain permanent control of any post-victory Palestinian-Arab entity, it is virtually certain that any compliant Palestinian-Arab administration would be a target of irredentist subversion from a myriad of Judeophobic actors (both state and non-state) across the Arab world and beyond. The most plausible conclusion that emerges from this analysis is that any post-victory policy, aimed at sustaining the fruits of Israeli victory and Palestinian defeat, must convey the unequivocal message that no such entity is forthcoming — ever. For unless such hopes are extinguished permanently, there will always be room for belief that defeat is merely temporary and that, at some later stage, the Jewish state will somehow be purged from the region. The question now, of course is: How is this to be accomplished? In last week’s column I raise a question as to the feasible scope of devastation that can be wrought upon the Palestinian-Arabs in order to bring about their unconditional capitulation. How many Palestinian casualties would Israel need to inflict in order to achieve this? 10,000 fatalities? 20,000? As a somber reminder — and a very rough yardstick — it should be recalled that in the 1948 War of Independence, Israel suffered losses of over 6,000 — around 1% of the total Jewish population then — without bringing about any thoughts of unconditional surrender. Could Israel kill a commensurate number of Palestinian-Arabs — between 30,000-40,000 depending on which demographic estimate one accepts — without incurring international censure and sanctions? Could Israel inflict such death and devastation without precipitating massive popular clamor for international — even military — intervention, across the Arab world and in other Islamic countries such as Turkey and Iran? And once the fighting subsides, would Israel be responsible for providing the defeated populace with food and shelter, and for shouldering the burden (at least partially) for the massive reconstruction called for? In broad brush strokes, this involves differentiating between the Palestinian-Arab collective and individual Palestinian-Arabs. It calls for declaring the Palestinian-Arab collective precisely what it — and its leadership — declares itself to be, an implacable enemy of the Jewish nation-state…and for treating it as such. Accordingly, the Jewish nation-state has neither moral obligation nor practical interest to sustain the social fabric or economic well-being of a collective dedicated to its destruction. To the contrary, an overwhelming case can be made — on both ethical and practical grounds — that it should let them collapse. Israel should, therefore, give notice that it will begin a phased withdrawal of all merchandize and services it currently provides that enemy collective — water, electricity, fuel, postal services, communications, port facilities, tax collection or remittances. In parallel, it should cease recognition of the authority of the Palestinian-Arab regimes in Judea-Samaria and Gaza, while offering generous relocation grants to non-belligerent Palestinian-Arab individuals to provide them and their families with the opportunity of a better, safer life elsewhere in third-party countries out of harm’s way and free from the clutches of the cruel corrupt cliques –who have callously misled them from disaster to disaster for decades. The political feasibility and the economic affordability of this policy paradigm have been discussed elsewhere so I will forego a repeated review of them here. However it should be clear that, given the abundance of external sources of inimical sentiment that can ignite aggression, it is only by permanently denuding the hostile Arab presence in the disputed territory, that Israel can ensure that this territory will not become a platform from which to launch attacks against it in the future (see Shimon Peres in introductory excerpts). This is the only way to smother Arab hopes of someday prying loose the Jewish hold on land they consider Arab. But given the manifest obstacles in achieving this by means of wholesale expulsion by kinetic measures, this non-kinetic formula appears to be the most plausible method for achieving the goals of the CIVC — and one that should be vigorously explored by its authors. Martin Sherman is the founder and executive director of the Israel Institute for Strategic Studies.